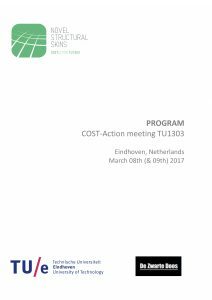 Download here the full program of the COST-Action meeting in Eindhoven on the 7th (and 8th) of March 2017. 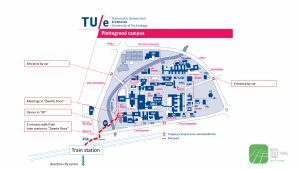 The meeting will take place at the TU Eindhoven in “De Zwarte Doos”. This venue is next to the faculty Build Environment and less than 5 minutes from the train station ‘Eindhoven’. * chaired by John Orr through a conference call. See this note for more info on how to join this online meeting. For the working groups, please visit this page.